The SHANSHUI S HOTEL was recently opened in 2018, making it a fantastic choice for those staying in Dalian. This property features Free Wi-Fi in designated areas, and is just 2km from the Dalian Railway Station, Qingniwa Bridge Area. 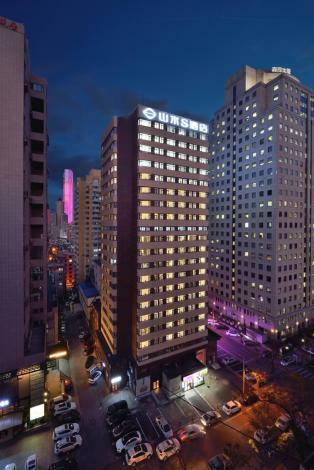 Boasting a convenient location, the hotel is just 2km from Dalian Railway Station and 10km from Zhoushuizi International Airport. In addition, Yierjiu Street Metro Station is just a short walk away. When guests have some time on their hands they can make use of the onsite facilities. Travelers requiring pickup service can book this directly through the hotel. This Dalian hotel features parking on site.